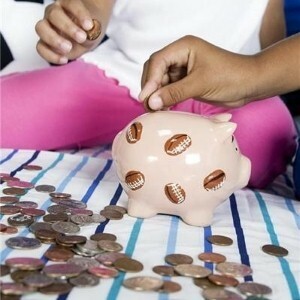 From piggy banks to the New York Stock Exchange, there are dozens of ways for fathers to use their parenting skills to teach the value of saving money. Financial planner Bob Nusbaum told CNN.com that the earlier children get actively involved in money matters, the better. "Parents need to involve their kids in financial decisions as soon as they are old enough to grasp it," he recommended. Some may wonder about the wisdom of parenting advice that lets youngsters loose with a wad of cash, but educational experts say that lessons learned early will stay with them for life. Education starts in the home, but may be continued elsewhere. Seven states currently require personal finance classes at a high school level, while a number of camps and after-school programs exist to help kids learn about money management. One company, the Monetta Financial Services’ Young Investor Fund, even allows kids to invest money for college – and monitor how their cash grows. These skills are vital for their journey into adulthood – a 2006 poll by USA Today and Experian found that 60 percent of today’s young people feel they have more financial pressure than past generations.